US: UPDATED - Virginia police pilot has temporary pain from laser beam; man arrested | Laser Pointer Safety - News of aviation-related incidents, arrests, etc. 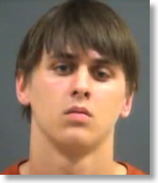 20-year-old Matthew L. Farr of Chesterfield (Va.) County was arrested and charged with a misdemeanor, interfering with the operation of an aircraft. Farr is accused of aiming a green laser beam at a Virginia State Police Cessna 182 patrol aircraft about 10 miles southeast of Richmond, on July 27 2013. The pilot had temporary pain, according to a police spokesperson. The pilot continued to fly in the area, to locate the laser, and was illuminated again. Farr was arrested by officers on the ground after a search of about 45 minutes. WTVR spoke to Farr, who admitted shining the laser “only briefly” and said he was surprised “when the cavalry arrived” at his home. If convicted on the misdemeanor, Farr could face up to a year in jail and up to a $2,500 fine. Federal charges could also be filed. UPDATED September 3 2013: Farr died in an automobile accident at around 2:30 am on September 2 2013. His SUV went off the road and hit a tree on a road near his home. More information is here.